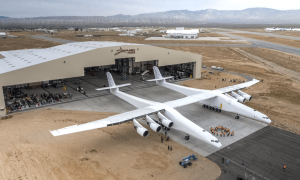 Stratolaunch, an aerospace venture created by Microsoft co-founder Paul Allen, has been working on a massive plane to launch rockets into orbit for some time now. Stratolaunch is reportedly developing an entire suite of rockets capable of being and carried and launched under its plane’s wings in an effort to have the first rocket ready to roll by 2022. 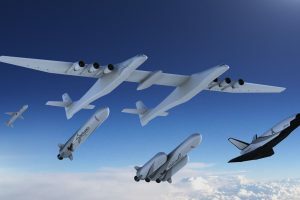 In a nutshell, Stratolaunch is working to develop a flying launchpad for, similar to that of Virgin Galactic and Virgin Orbit. Stratolaunch, which originally planned to launch rockets for others, has pivoted to focus on its own rockets, the first of which will be capable of carrying about 7,500 pounds into orbit. 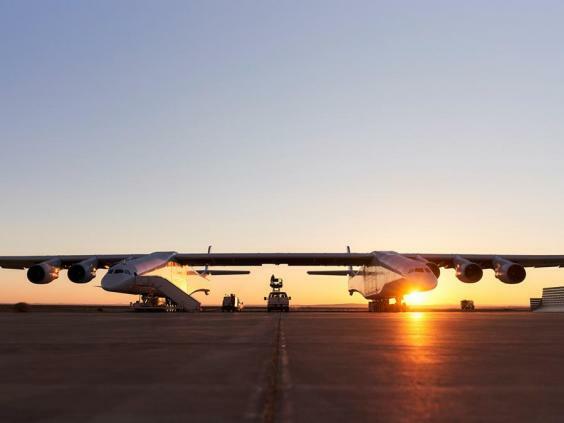 The world’s largest plane, the Stratolaunch, is lumbering toward its first flight. The plane, a 500,000-lb. beast, recently completed a runway test in anticipation of its debut flight, which is planned for some time this summer. This massive plane is 238 ft. long and 50 ft. tall. It features six high-bypass-ratio turbofan engines used by the Boeing 747 and can carry more than 500,000 lbs. of payload. 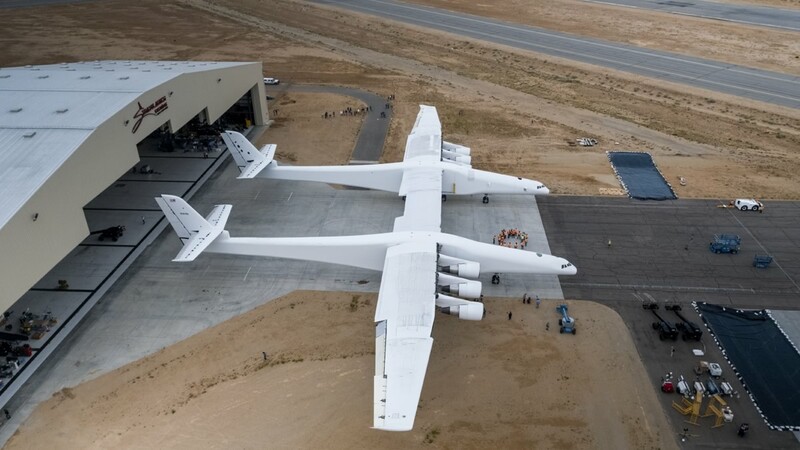 The Stratolaunch is so big that it requires two cockpits. It has a wingspan longer than a football field at 385 ft. It has already gone through two ground tests, during which it reached a maximum speed of 46 mph. However, the Stratolaunch has to reach taxi speeds up to 138 mph to take to the skies. 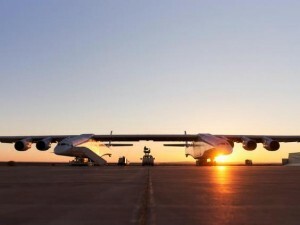 The enormous Stratolaunch aircraft was created by Microsoft co-founder Paul Allen. Allen plans to make this plane a platform for lifting rockets into the stratosphere before launching them into space. As most space flights and many kinds of satellite are in low-Earth orbit (LEO), it will prove to be a cheaper and more reliable route to LEO. Stratolaunch is prepping for its maiden flight next year, taking baby steps along the way. Here we are in March and while it still hasn’t taken to the skies, the world’s largest airplane is certainly coming along. In a new video, the Stratolaunch can be seen taxiing down a runway at 46 miles per hour, impressive for an aircraft weighing 500,000 pounds with twin fuselages and a wingspan of 385 feet. It may not seem like much but the plane only got up to 28 mph on its last runway test, so this is yet another improvement on its way to Stratolaunch’s first test flight in 2019. Private spaceflight company Stratolaunch Systems brought the world’s largest airplane (by wingspan) out of its hangar for the first time recently. Called the Stratolaunch, the massive aircraft successfully tested out all six of its Pratt and Whitney turbofan engines, each weighing 8,940 lbs. (4,000 kg), at the Mojave Air and Space Port in California. Boasting a wingspan longer than a football field, Stratolaunch is one of the world’s largest aircraft today. It weighs approx 500,000 lbs. without any cargo. Its maximum takeoff weight of 1.3 million lbs.is among the heaviest in the world. The aircraft can carry over 500,000 lbs. (230,000 kg) of payload. Stratolaunch has 28 wheels and will require a runway at least 12,000 ft. (3,700 meters) long. It is designed to carry rockets between its two fuselages. Stratolaunch will be used as a launch platform to send rockets into orbit from an altitude of 30,000 feet (9,100 meters). The Stratolaunch will undergo numerous ground tests and engine runs before making its first flight in 2019.